As we’re nearing the end of 2015, it’s time to begin preparing for next year’s marketing strategies. In the vast SEO world, there are always shortcuts to help you achieve more and work efficiently. 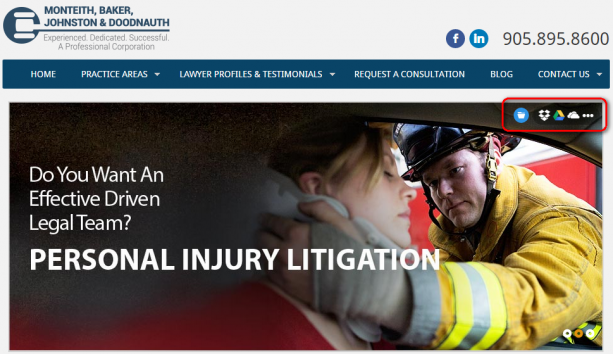 Whether it be apps, blogs, programs, or people, there are numerous ways to find help. I have started exploring the world of Chrome Extensions and found different tools that have helped me achieve more with my productivity, organization, and research. Here, I have put together a list of my top Chrome extensions and why they are so useful to me as an Account Manager. These extensions will be a great add on to prepare you for the next year. This one is is probably the most useful as an Account Manager or for anyone doing SEO. Page Analytics allows the you to see how users interact with a site. However, in order to use this extension, you will need to be connected to your Analytics account for the page you are viewing. This extension provides heat maps and statistics for all pages on the site, including what they click on and what they don’t. This allows you to monitor how people interact with your site and adapt to increase the user experience. I love showing this to clients during meetings to look at how their site is being interacted with and providing valuable insight into design and user experience. The app also showcases a toolbar with up to date Analytics data that can provide all the info you need in one place. Formerly called PageRank Status, Open SEO Stats provide easy access to basic SEO information without changing the tab you are in. 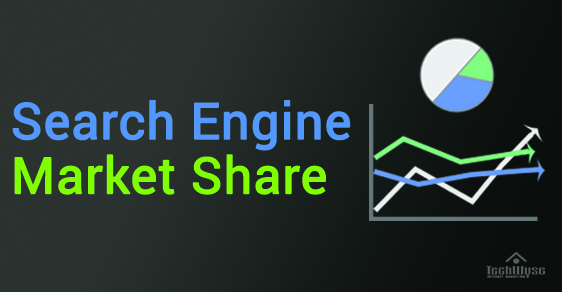 Open SEO Stats shows information about your Google Page rank, Compete Rank, Alexa rank, and Questcast Rank. In addition, it provides you information on your SEO stats, traffic, page and link stats, as well as page speed. 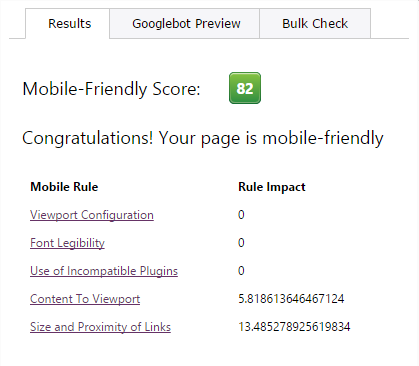 One thing Open SEO Stats does not offer is Mobile friendly testing. 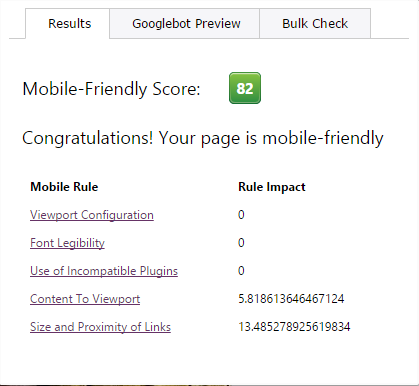 With the increasing value of mobile friendly websites, you need an easy way to see if a site is mobile friendly. The Mobile Friendly Checker extension is a great tool for this! 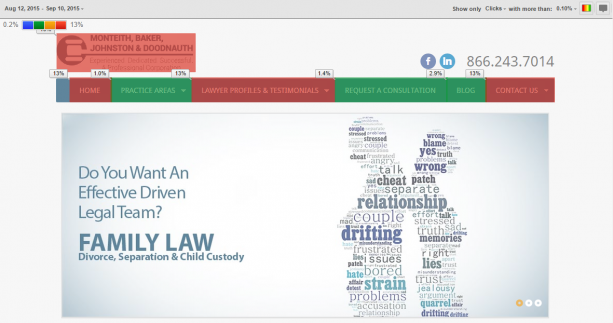 This is a great tool to test out the score of your sites. It provides you with a bigger breakdown of the details and get a preview of what it would look like on a mobile device. This tool is amazing to help promote the addition of mobile friendly websites and is easy to use and understand. The Tag Assistant extension is a great tool to verify whether or not you have installed various tags correctly on your page. This extension will tell you which tags are installed and suggest any improvements that can be made to ensure you can record a user flow to and through you site, diagnose and fix and problems with analytics installation. With any clients that have analytics account, this tool is a great way to ensure everything is running smoothly and all number are being accurately represented. The icon will show the health of the tags by changing colour from blue to red, along with the number of tags to show if there is an issue at hand. Personally, I never clear my cache, I like not having to enter usernames and passwords, my address and cell phone number, and other necessary fields. However, not clearing everything in your cache and make it difficult to see websites naturally. Incognito This! allows me to click one button and have a fresh view of a site, search results, and Google listings without any location associated to it. Any of the information I input with the incognito window will not be saved to my Chrome or remembered once I exit. As an Account Manager, I find this one to be very underrated. 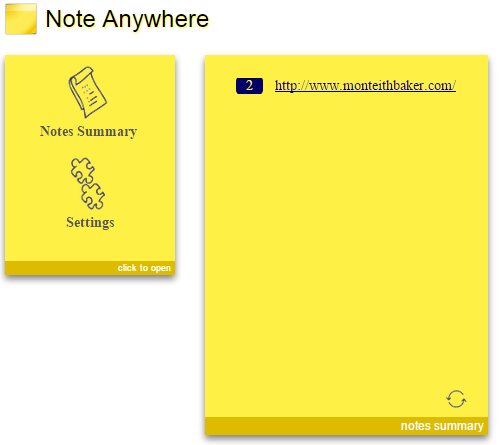 Note Anywhere on any page and it will be saved and can be recalled though the Note Anywhere extension. This extension also saves all of your notes and the page information of where you put them. You can access the options though the icon and it will list all notes you have created. 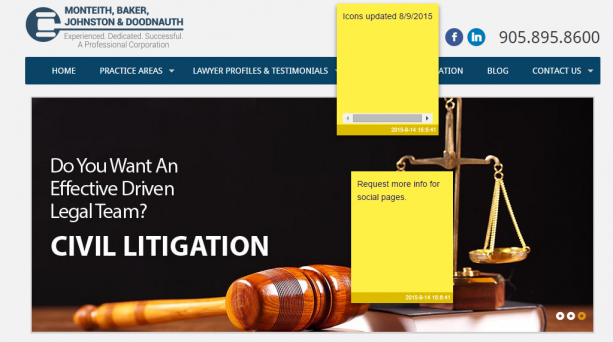 This is a great organization extension and is very useful during client meetings to record notes and directly place the note onto the website page. SEO Peek is a great tool to get a quick snapshot of the SEO factors of any website. Whether it’s a client or a competitor, SEO Peek will show you the page title, meta tags, heading information, and link tags. 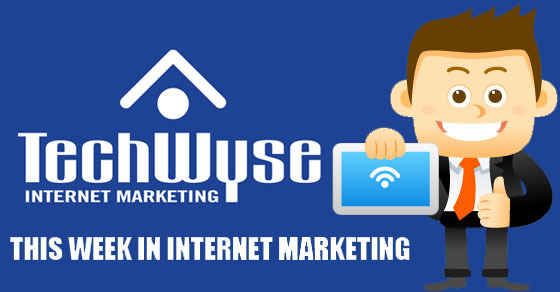 A single click gives you all the basic SEO information you need. This works as an easy way to show clients the work you have created or try and inform them of what is missing. SEO Peek is easy to use and very clear to understand. Another personal favourite! In a growing digital age, you can easily mistype or misread an email, article, blog post, or social update. 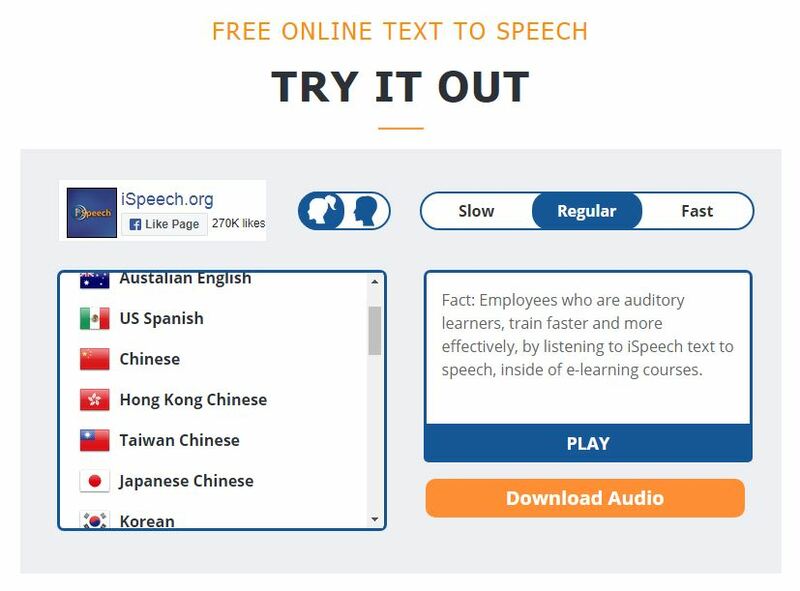 With SpeakIt!, you can have your computer read the content on the page to you by simply highlighting the text and asking it to speak. This is also useful for any articles or updates you want to read, you can simply have them read to you while multitasking on other tasks at hand. I used this the most while studying for my Google Partner certifications because efficient and allowed me to do multiple things at the same time. The MozBar is a very convenient SEO tool that allows you to view SEO metrics as you surf the web. The bar itself is no larger than the Chrome extensions bar and doesn’t take up too much space on your browser. It shows customized information such as highlighted link locations and metics, page information, social stats and lead info, and keyword scores all at a quick glace. MozBar also offers a pro account which makes all of these areas more in depth and easier to access, as well as providing deeper SEO statistics. Ballloon for Chrome is an extension that allows you to save web files directly to different cloud storages with the click of a button. Ballloon helps you skip the whole saving process by clicking on one of the Ballloon cloud links to save the file directly and avoid moving it multiple times to get it to your Google Docs or Dropbox. This is a great tool to save time and organize your files on the go. In addition, it supports many file types like mp3 music, pdf files, photos, docs and videos(mp4) and more. Quick Suggest is a great tool for building out keywords. Quick Suggest make expanding keyword lists easier by allowing you to enter your desired keyword into the search bar. Then, it provides you with an A – Z list of keyword ideas. This list is able to be exported and also allows for reverse suggestion mode. This will help expand keyword lists for any SEO or PPC campaigns. The year is ending and it’s important that we’re prepared for the new year. 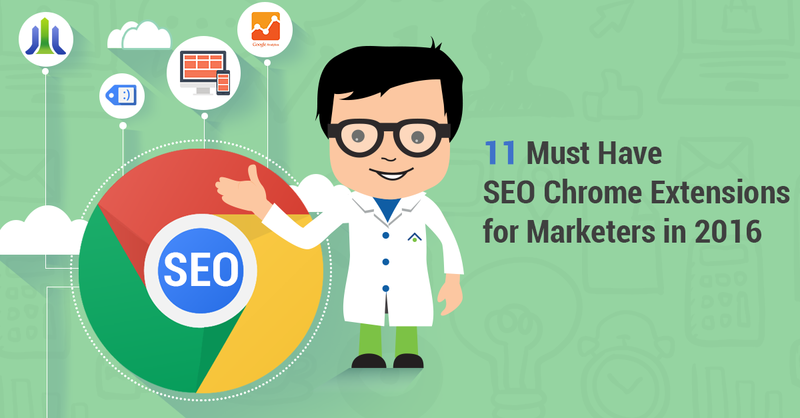 These 11 Google Chrome extensions will make your websites SEO a little easier to organize and understand the digital world of SEO. The ease of use and the amount of time they can save will be very valuable to your day to day life. Do you have any SEO extensions that you use for your website? Share it with us in the comments below! Loved this so much!!! THANK YOU! Thanks! You’d be surprised how often I use this. The mobile friendly checker and Note It are definitely a go to when speaking with clients. Showing them I am making notes about their site not only lets them know I’m working for them, but also makes the reminder much easier! The Note Anywhere extension looks really useful. It’s great to be able to attach thoughts and things to remember directly on the page you are surfing. I hadn’t heard of it before and I’ll definately be using it. Those are awesome! Never heard about them before, as I’m just starting to get involved with SEO. I especially Incognito this! and Quick Suggest, since writing tags can get pretty tedious and it’s easy to miss an important one. Gonna download them right now. This is great, but with all those chrome extensions, plus all the ones that people use that AREN’T mentioned here, I would imagine that would use up a lot of memory. If that’s the case, I would recommend using an extension called the great suspender. It frees up some memory on tabs that aren’t being used. I am always looking for the best chrome extensions. I have a few of these. The rest I will have to check out, especially Balloon. Thank you for posting.